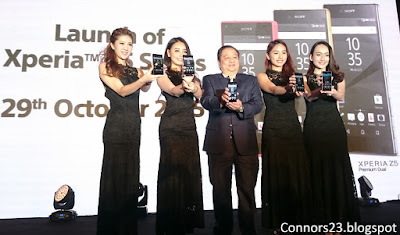 Today, Sony Mobile unveils the company latest flagship smartphones: the next generation smartphone camera with the Xperia Z5 Compact, Xperia Z5 Dual as well as the world's first 4K smartphone Xperia Z5 Premium Dual. 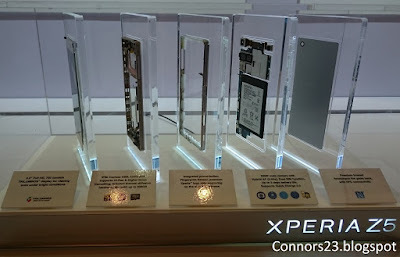 The trio smartphones debuted at IFA 2015 in September, the new Xperia Z5 series comes with the company's familiar OmniBalance design, which is a metal frame sandwiched between glass panels. 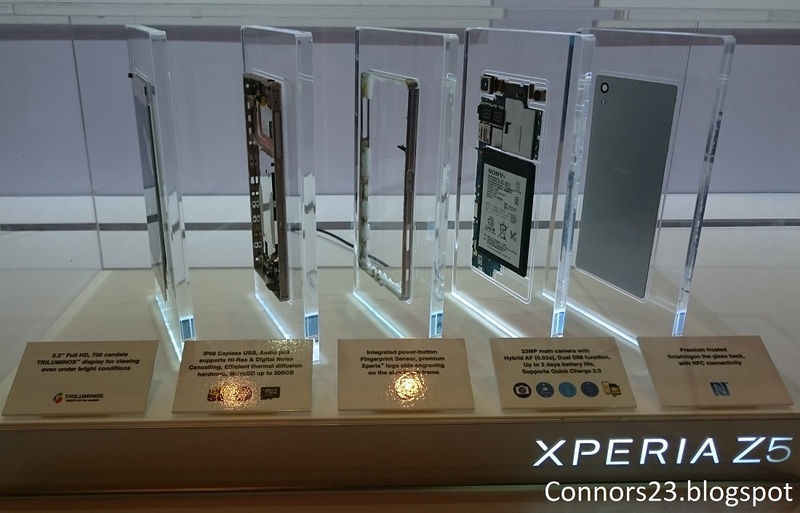 However, the rear panel is now frosted glass for the Xperia Z5 and Z5 Compact. On the other hand, the Z5 Premium features a mirrored finish glass back. The three devices are powered by Qualcomm Snapdragon 810 Octa-core processor and paired with 3 GB of RAM (2GB RAM for the Z5 Compact). The key feature is the brand new 23 MP Exmor RS for mobile sensor, capable of ultra-fast autofocus in just 0.03 seconds and 5x clear image zoom - it's Sony's first completely redesign smartphone camera module since the Xperia Z1. There's also a 5 MP Exmor R front-shooter. What's more, Sony introduces a fingerprint scanner for the first time. 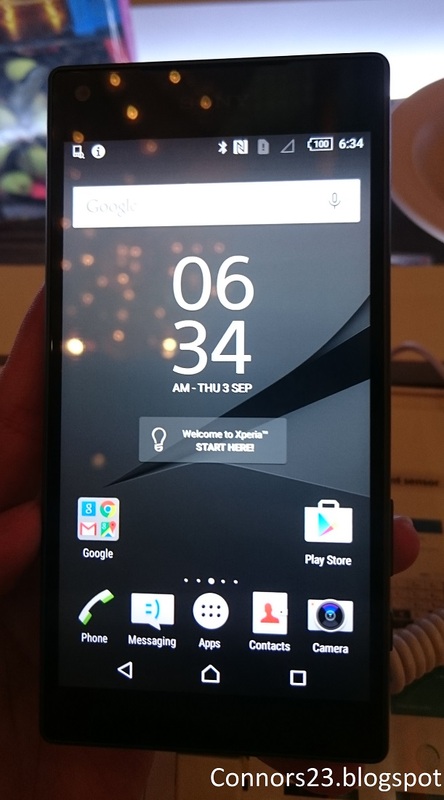 The Xperia Z5 series has a new power button with integrated fingerprint scanner located on the side of the phone. Other specs included 32 GB of expandable storage (support microSD card up to 200 GB), IP65/68 dust and water resistance, capless USB port and support High Resolution Audio. The main differences between the trio Sony smartphones comes down to their display and battery capacity. The Xperia Z5 Premium is the largest with 5.5-inch 4K display and a huge 3,430 mAh battery, while the Xperia Z5 Dual sports a regular 5.2-inch Full HD display and a 2,900 mAh battery; last but not least, the Z5 Compact packs a 4.6-inch 720p display and a 2,700 mAh battery. 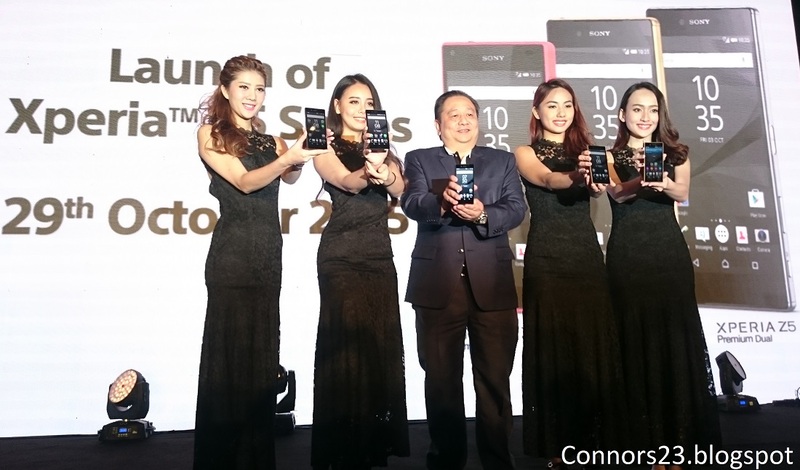 All the three handsets will be available in Malaysia starting from November, with the Xperia Z5 Dual priced at RM2,699 and the Z5 Compact retailing at RM2,299. On the other hand, the Xperia Z5 Premium will be available later in the quarter and Sony has yet to revealed its pricing. UPDATE 11/11/15: The Sony Xperia Z5 Premium is now available for pre-order, priced at RM3,099.